Published: January 21, 2019 12:08 Usman Ghafoor, Special to tabloid! Director Wajahat Rauf has forayed into the web with ‘Enaaya’, a series for Eros Now, starring Mehwish Hayat, Azfar Rehman, Faryal Mehmood, Asad Siddiqui and Rabab Hashim. All the episodes of the series rolled out on the portal on January 21. 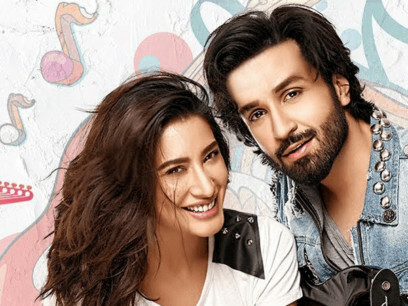 Earlier, a trailer of the web series was released to mixed response from the audience, some of whom said the plot seemed similar to that of 1997 Bollywood film ‘Dil To Pagal Hai’, except that here the hero is looking for a female singer to become the face of his band. The series is written by Rauf and produced by Gateway Entertainment.